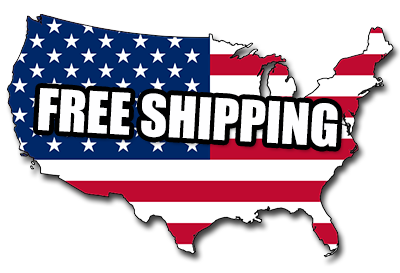 Our Industrial Freedom flag is hand made here in the good ol' USA. First we start with 3/4" Oak sheets and cut them to size. Then we sand all the surfaces, burn the wood and apply a coat of stain to bring out the grain. Next its over to the plasma CNC where the sheet of stainless steel is loaded into place and the flag is cut out. After cutting, the flag is ground down on the backside and sanded on the face before being screwed to the wood. Once the flag is attached to the wood, it gets sanded one more time one the edges to ensure everything is flush and smooth. Dimensions: 12"x 20" x 1"